At a distance of 24 km from Kalpetta & 46 km from Sulthan Bathery, Soochipara Waterfalls (also known as Sentinel Rock Waterfalls) is located inside thick forest at a distance of 13 km from Meppadi town. 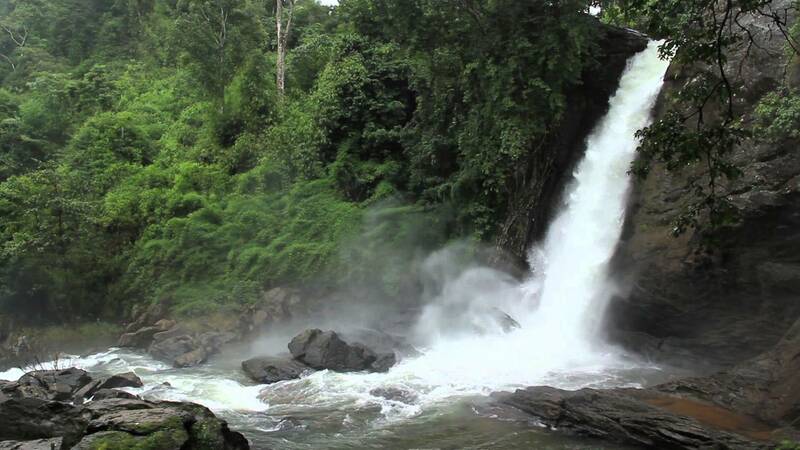 It is one of the best waterfalls in South India and also among the most visited Wayanad tourist places. Soochipara Waterfalls is a 3 tiered waterfall, dropping from a height of about 200 meter. The waterfall cascades down into a large pool, which is a good place for swimming. This place is also an exciting trekking destination. Visitors have to trek down for about 2 km to reach the falls from the road point through slippery and rocky path. The trekking is of easy level, which takes about 30 minutes one way. There are high chances that visitors may get a glimpse of wildlife like Deer. The Sentinel Rock, a huge rock which is about 200 meters in height, is ideal place for rock climbing. There are few tree-top accommodation facilities provided by the forest department. One can have a spectacular view of the valleys of the Western Ghats from the tree-top hut. The route between Meppadi and Soochipara is lined up with beautiful tea estates with a breathtaking backdrop of Chembra Peak. The drive to Socchipara itself is a wonderful experience. The waterfall would be mostly dry in summer season and usually closed for visitors between March to June.